Located in the centre of a tourist area, Le Bois du Reveuge is a luxury camping site. The surrounding woods provide a beautiful atmosphere for couples and families alike, for a restful retreat. Mobile home accommodation is available at this luxury camping location. This charming LuxCamp location is a good choice for those who are health conscious. Seasonal activities such as archery, tightrope walking and a fitness gym are great ways to stay in good physical shape while on holiday. 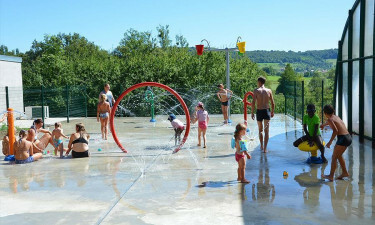 Why choose Camping Le Bois du Reveuge? Families both young and old will be kept busy with the range of entertainment available at Le Bois du Reveuge. There are three outdoor pools and one indoor swimming pool in the water park area, as well as an aquatic gym. For guests staying at Le Bois du Reveuge, mini golf, ping-pong, mountain biking and canoeing are great ways to enjoy the beautiful surroundings for free. There is also a library for those who are looking for a quiet camping holiday.